April is Financial Literacy Month, an opportunity to highlight the importance of financial education and teach Americans how to establish and maintain healthy financial habits. 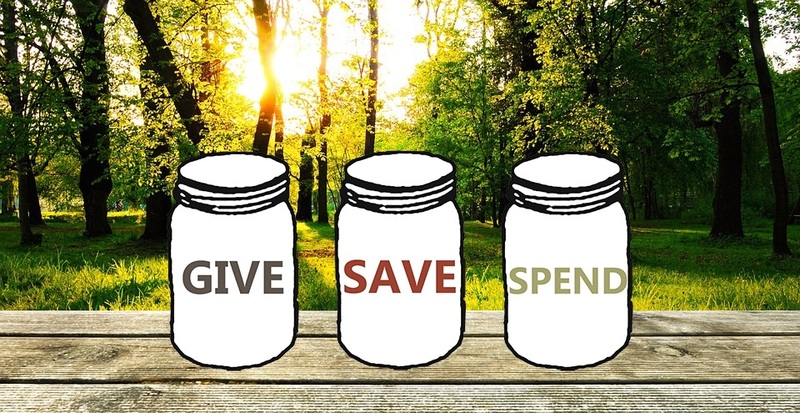 With that in mind and because April 12th is Teach Your Children to Save Day, I thought I'd share a strategy that has helped our clients teach their children to become great savers and something I've used within my own family. Let's think about teaching our children to allocate their money in three ways, Giving, Saving, Spending. A great way to teach this to younger children is to use visuals. Using a jar system is an easy way to help your children become a cheerful giver, a great saver, and identify what kind of money they have left over to spend. If your family is anything like mine, we pay a weekly allowance to our children based on the chores and responsibilities they own. This could work for older children with jobs as well. So, we start with the Give jar, taking 10% of their earnings and setting it aside to give. We teach them to take 10%-20% and put it in the Save jar, and all the rest of the money can go into their Spend jar. I'll throw in a bonus idea for all you parents but be warned my son is wearing me out with this (in a good way). I promised my son that if he went out and got an odd job - babysitting down the street, grass cutting, whatever - any money that he elected to put in his "Save jar," I would match the amount. Needless to say, he is wearing me out; I am constantly matching the savings deposits he is putting in his “Save” account which is in a separate bank than his “Spend” account. He's become a fantastic saver! He's motivated, and he is forming great habits. I think it is incumbent on all of our lives to teach the next generation how to become great savers, and I hope you can use these tips to help your children create healthy financial habits.